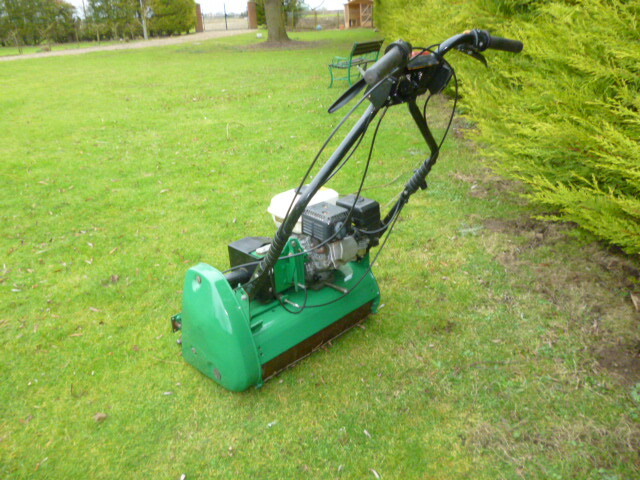 Brief Description: BOWLING GREEN MOWER. PETROL ENGINE. 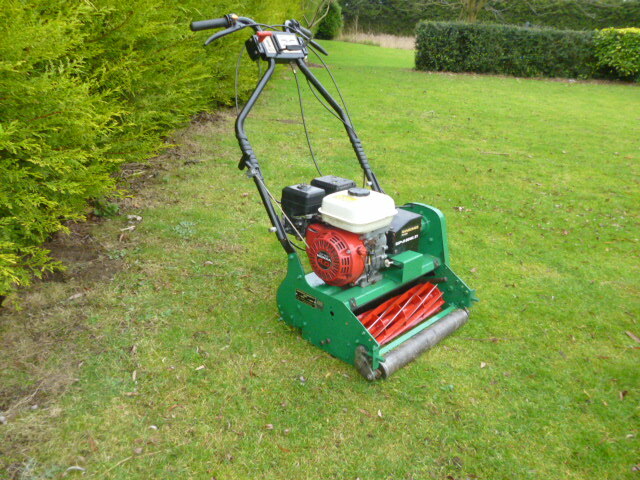 More Information: Height of cut 3mm - 13mm (0.12" - 0.5") or 1.5mm - 11mm (0.06" - 0.5") with thin optional thin bottom blade/bed knife Durable steel rollers as standard Robust, moulded grass catcher 10 blade cutting cylinder for close clip A primary centrifugal clutch is complimented by a secondary plate clutch which enables the roller drive to be disengaged for easy manoeuvrability. 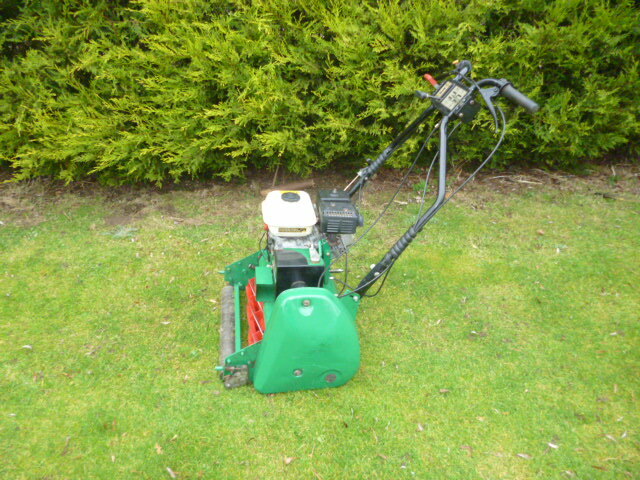 The Ransomes Super Bowl is a 51cm, 10 blade, pedestrian cylinder mower with a robust design specifically for use on regularly mown bowling greens. 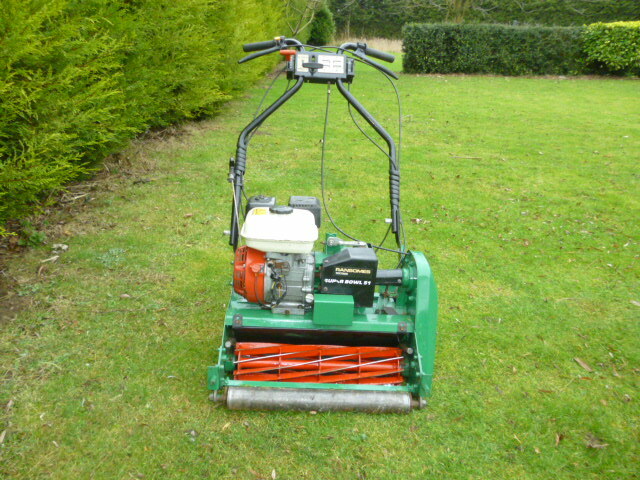 An optional Verti-Groomer further enhances the quality of cut. A centrifugal clutch with easy engagement makes the machine very easy to use. Honda 4hp engine.